Are you craving well-sculpted and toned muscles combined not only with more flexibility, stamina and endurance, but also body-mind balance? Taking up yoga in Fit San Diego may be just the thing you need! As a go-to fitness center in Downtown San Diego, Fit Athletic Club offers unparalleled yoga classes as part of our all-inclusive offer! Not only are our yoga instructors qualified and experienced, we also provide a whole variety of different yoga classes for your specific needs and preferences! When you sign up for yoga classes with us, you get access to our gym facility, as well as amenities, including Fit Café, Massage Therapy, Playcare, Fit Perx and much more! 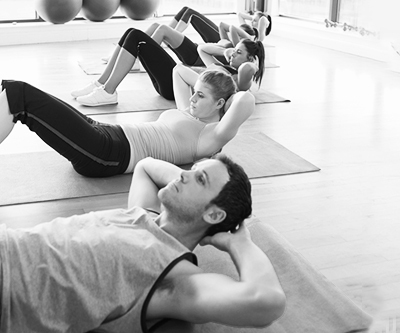 Create the perfect body, mind and abs at our 30-minute yoga core flow sessions. This class flows from pose to pose to work the entire body and raise heart rate. Feel the heat in our challenging Vinyasa class in a room heated between 85 and 95 degrees. This is an exciting class where you learn more challenging poses and push your body to new levels. Get rejuvenated with a yoga flow from Ashtanga to Hatha to Vinyasa, boost flexibility, balance and endurance. Focus on maintaining challenging balance postures in a room heated to 85-90 degrees. This is a Hatha class for students who want to intensely deepen their yoga practice. Enter the state of relaxation and healing reflection with step-by-step meditation techniques. Sign Up and Become Part of the FIT Lifestyle! There are so many physical benefits of yoga that we simply cannot cover them all! Whatever yoga class you take up in our Fit Downtown San Diego fitness studio, you will experience the same core benefits of traditional yoga. You can also choose to focus on specific bodily feats or muscle groups, and take your pick from our varied selection of yoga classes! Did you know that your spine needs nutrients to stay healthy, just like the rest of your body does? The spine gets the nutrients through movement, and yoga supplies the right amount of backbends, forward bends and twists to keep your spine healthy. If you practice yoga at the best yoga San Diego studio, you will soon discover an improvement in your overall well-being. Coming in and out of different postures in yoga sessions increases the drainage of lymph, by which toxic cell waste and cancerous cells are destroyed. If you thought yoga isn’t challenging, you’ve never tried Power Vinyasa at Fit Downtown San Diego. And the best thing about “yoga bodybuilding”? It builds muscle strength along with flexibility, not at the expense of flexibility. 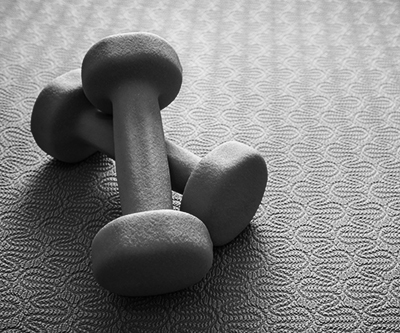 Complementing your fitness regime with regular yoga practice gets your heart into aerobic range. Why is this important? Because it lowers the risk of heart attack and boosts oxygen intake. This is especially true for aerobic yoga classes like Vinyasa, which you can explore at Fit Downtown San Diego! You don’t have to go to an ashram in India to enjoy all the psychological and spiritual benefits of yoga. We’ve created a spiritual oasis in Downtown San Diego. 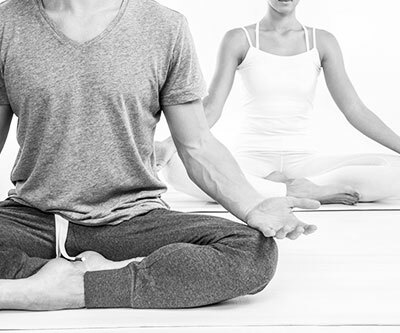 Fit boasts yoga instructors who specialize in Guided Meditation, Behavioral Change, Total Mind Body and Spirit Focus, Lifestyle Modification, and more! Yoga is proved to slow down the mental loops of anger, frustration, fear, and even regret, and thus reduce the psychological stress you’re under. Asanas and mediation all work to help you achieve peace of mind and mind-body balance. Yoga teaches us that we are the manifestation of the Divine, and as such, nurtures a healthy sense of self-worth. Also, yogis realize that the only competitor that really matters is themselves, and don’t measure their success against the success of others. Developing a sense of awareness of ourselves and the surroundings is at the core of yoga practice. Both meditation and the more physical aspects of San Diego yoga classes build self-awareness and teach us to live in (and enjoy) the present. All yoga classes at Fit Downtown San Diego are geared towards helping you make a positive lifestyle change and living the life you want. Yoga boosts brain power and enables you to step back from the drama to come up with a plan for positive transformation.